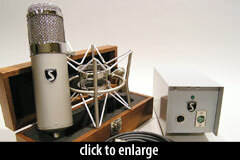 The E47 was designed to reproduce the best aspects of the Neumann U47. It is a tube condenser, and a lookalike to the U47, although there are differences (both cosmetic and under the grille). The original E47 mic had two gold-sputtered 6-micron diaphragms, but in its default configuration (as shipped from the factory) only the front membrane was active, fixing the mic in cardioid mode. A switch mounted on a circuit board inside the microphone brought the rear diaphragm into the circuit, and enabled the continuously-variable pattern selector built into the power supply. The E47 User Manual (see sidebar link) contains instructions for switching the mic into multipattern mode. The JAN submini [tube in the E47] has the same input impedance as a VF14 [tube used in the U47] but a little less input capacitance, resulting in a 1dB bump in the E47’s response around 10 kHz, compared to the original U47’s response. The E47 shipped in a wooden box, with dedicated power supply, cable, and shockmount. The mic carried a 3-year parts and labor warranty. When available, it retailed for $3950. In 2005, Soundelux replaced the E47 with the E47C. 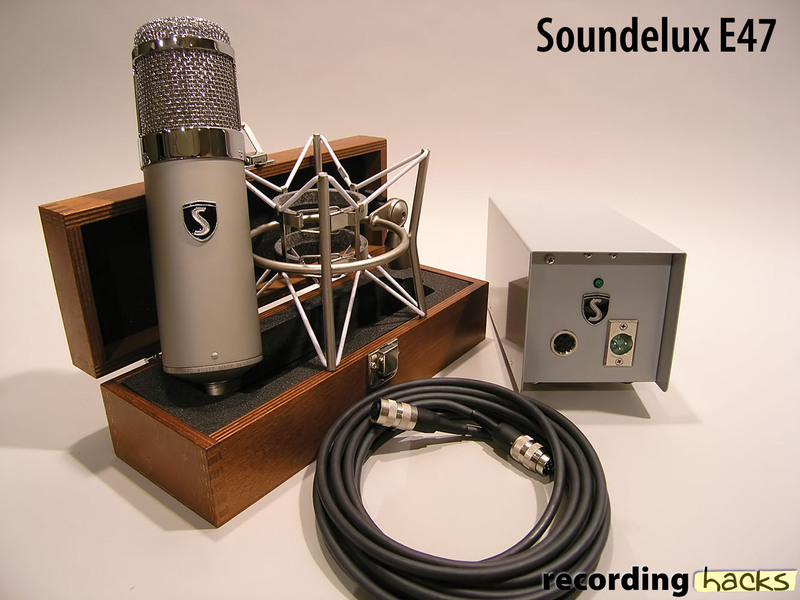 The Soundelux E47 is also known as: E-47.